Provide access to food to all students in Ohio County Schools. Join me and help make a difference by giving today. "Just the thought of a child going hungry hurts my heart. " In addition to monthly grocery distribution, Ohio County Food Pantry offers a back pack ministry, with the goal of ensuring all students in the community have access to food, even over weekends while school isn't in session. Students in need are given a bag of food at the end of each week to sustain them over the weekend. With having 250 students in Ohio County Schools being fed through our program in the past year, the need for donations has become vital in sustaining the program. $120 will feed one child for one school year. Any donation is a step towards our goal of having no hungry children in Ohio County Schools. 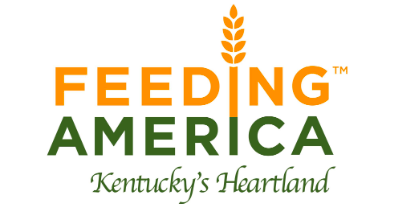 This program is made possible by our partnership with Feeding America, Kentucky's Heartland. Local donors provide the funds necessary for FAKH to purchase the food that children in Ohio County receive each week through the Backpack Program.